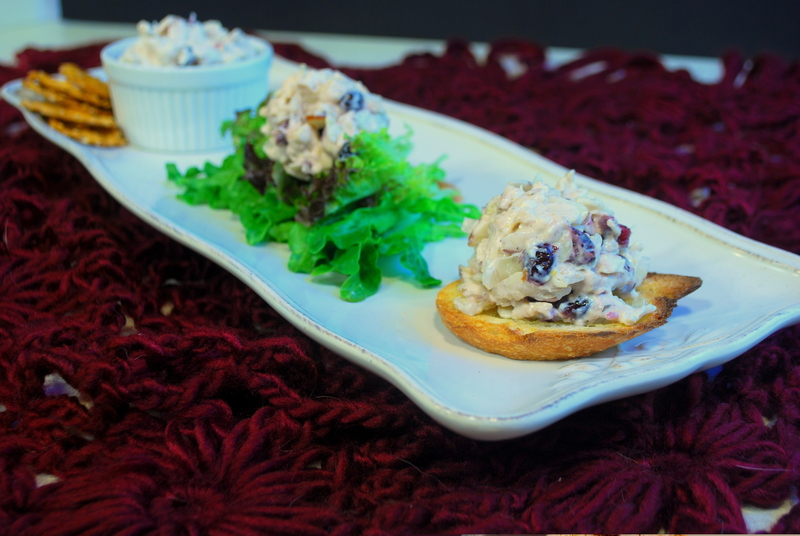 There are countless chicken salad recipes out there. It really depends on preference. The recipes I use change seasonally and are based on whatever ingredients I happen to have at the time of assembly. This is my favorite fall chicken salad recipe. I came up with this recipe after enjoying a meal at a local tea room that is sadly no longer in business. Their chicken salad had a unique, but familiar taste. Upon asking our waitress, we were informed that the special ingredient was a spice called fenugreek that is common in Indian dishes. Sure enough, we had used it in Aloo Gobi a few times, so I already had some on hand. The tea room used walnuts instead of almonds and didn’t contain dried cranberries. I wanted to use cranberries because I thought they might compliment the maple characteristic of the fenugreeek. Yep, sure does! Mix it up. Add more or less of each ingredient until you find a balance that you enjoy. Serve in sandwich form; I go slightly low-carb by making it an open face sandwich. Wanna be no-carb? Put it on a bed of lettuce or better yet, in lettuce cups. If you add extra mayo and yogurt, it makes a great dip for crackers or pretzels. 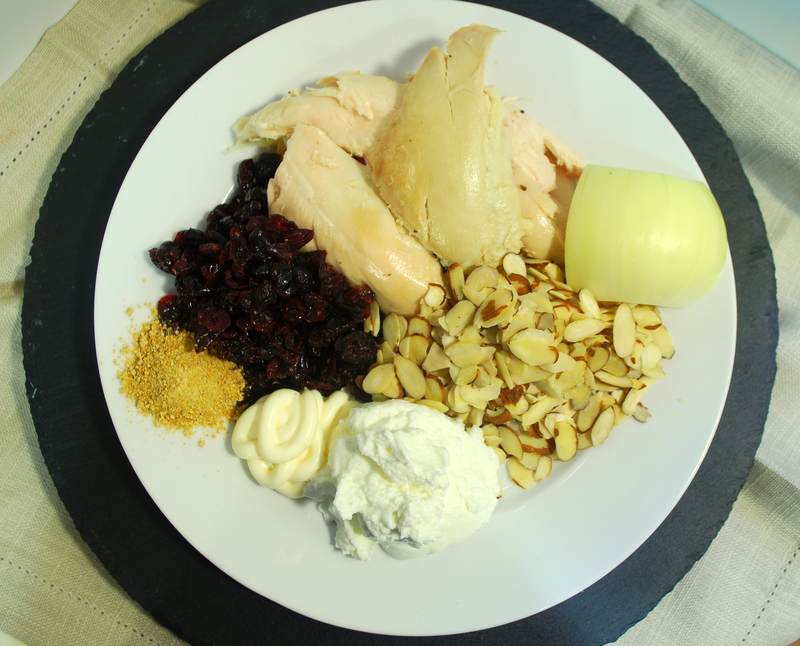 Let me know if you have a chicken salad recipe that is even yummier than this so I can give it a try.